Salvaged art is the science of seeing beauty in cast off items. I perceive the potential in discarded junk, trash or just plain misunderstood thrown out stuff. To me, the ability to recognize a diamond in the rough has been a boon. I love to chase down and retrieve some little treasure that no-one can see as a craft or garden focal point. I’ve got some funny looks over the years, but once people see the result, the glances askance have changed to outright envy. Junking (sometimes spelled Junquing just for fun) now has much more cachet, and it’s actually becoming acceptable. 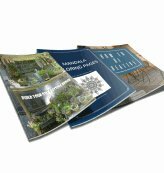 See these etiquette guidelines to keep it friendly. Many people will spend time at flea markets, auctions and garage sales, fitting their travels into their weekends as that’s when most of these take place. 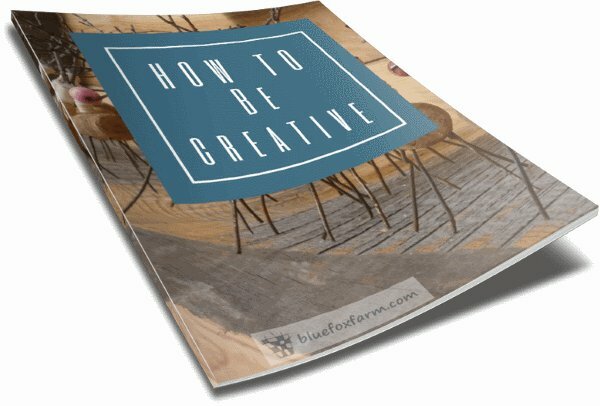 How can you use your salvage to make art? Learning how to piece things together and attach them is the hardest part, but using tie wire, drilling holes and using different kinds of glue such as hot melt glue or screws has made it easier. If you have access to a welder, or even a soldering iron you’ll be well on your way. Find out more about wire techniques for crafts here. 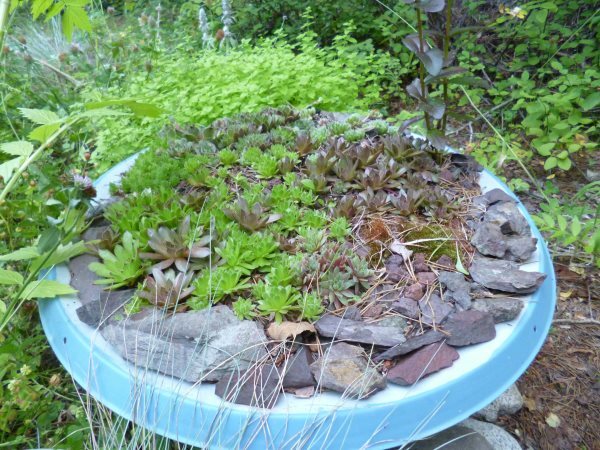 Satellite Dish Planters – using those flat and useless discarded dishes – I like the round ones (the newer ones are oval to be able to find two satellites flying around the earth instead of just one). Garden Totems using recycled dishes, vases and plates to make a unique focal point in your garden. 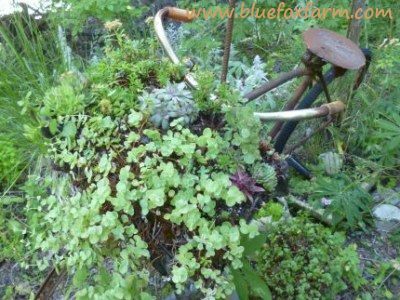 Garden crafts made from hypertufa can be molded inside strange and unusual discarded stuff like a bird cage base, or an old basket salvaged for one last use. Tin Can Lanterns – what else can you use tin cans for? Still in use after all those years, tin cans are a great resource for the crafty. Other tin can crafts are punched tin lampshades - what better use is there for what would ordinarily go to the recycling bin? 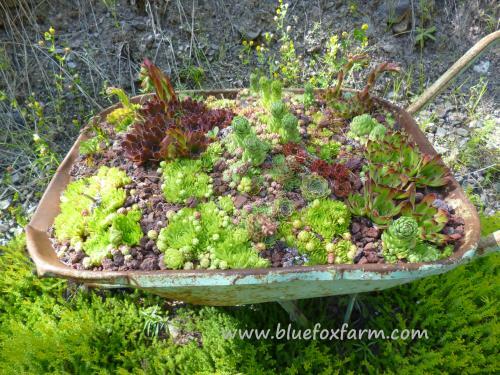 I always watch out for old wheelbarrows - they make amazing planters for some of my favorite hardy succulents. 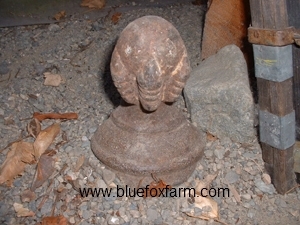 Rustic salvage can be made into the most unique and unusual garden art; finding new and innovative ways to recycle, repurpose and reuse old and possibly damaged items gives your garden character and charm. Think outside the box and find a new use for a worn out piece of junque to make salvaged art for your garden. 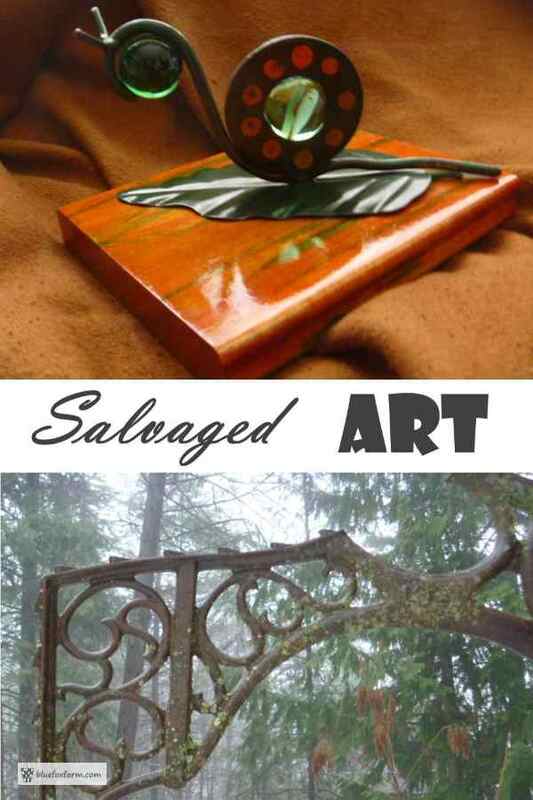 Other artisans who are using salvage to make into art show a diverse array of imagination and inspiration. "This small piece was created by me from used, discarded pieces. 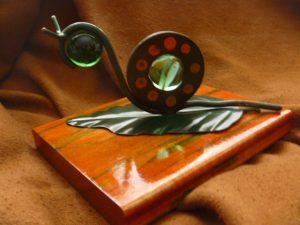 I used two glass marbles, 1 large metal washer, 1 wood block (from a stamping-up stamp), 1 metal leaf cut from a table lamp, 2 small nails, and a small scrap metal rod. This piece is not a commercial product; it was created as a gift. I hope you enjoy it." This illustrates perfectly the potential and possibilities embodied in a scrap metal pile.